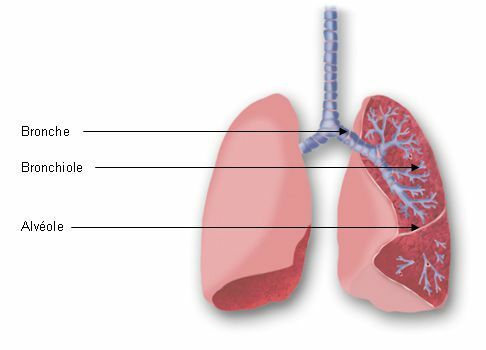 The bronchi are part of the respiratory system. The bronchi are involved in air (inspired or expired) passing between the outside and inside of the lungs. They branch from the trachea into several bronchi and bronchioles (from largest to smallest diameter). The pulmonary alveoli, where gas exchange takes place, are at the very end of them.